Mrs. Irma C. Klont, age 95, passed away Monday, October 16, 2017. She was born in Muskegon, Michigan on March 21, 1922 to Giddeon & Karen (Paulson) Nelson and married Marshall Klont on March 20, 1942. Irma was a member of Samuel Lutheran Church. 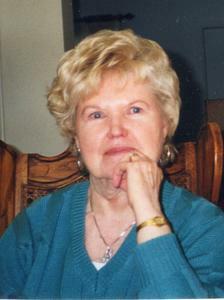 Mrs. Klont had been a loving wife, mother and grandmother who enjoyed gardening, puzzles and reading. Son, Dennis (Bonnie) Klont of NM; daughters, Julie McCollum of Fremont & Marilyn (Doug) Boucher of Muskegon; 6 grandchildren; 11 great grandchildren; sister-in-law, Darlene Perrault of Gaylord. She was preceded in death by her husband, Marshall; infant son, David; brothers, Carl & Harold Nelson; sister, Ruth LaFountain.